Wednesday 1st February at 9am – 10am. A message must be left every day your child is absent. We may contact you to clarify the information given. The following clubs will be running from Monday 7th November 2017, unless otherwise stated. You can sign up for clubs on Thursday 3rd November and Friday 4th November in the playground from 08:40 – 08:55 and between 15:30 and 15:45. Code Club. CONTINUES FROM FRIDAY 4th NOVEMBER FOR EXISTING PUPILS. The phone system at Culloden is partially working and we are trying to resume a full service. Please accept our apologies if you are unable to get through. Please keep trying or send us an email at admin@paradigmtrust.org. Thank you. The phone system at Culloden is currently experiencing a fault and cannot receive or make calls. We are working to fix the fault. We apologise for any inconvenience caused. You can contact us by email for urgent issues at admin@paradigmtrust.org. A reminder that school is closed on Monday 31st October to pupils. School reopens on Tuesday 1st November. 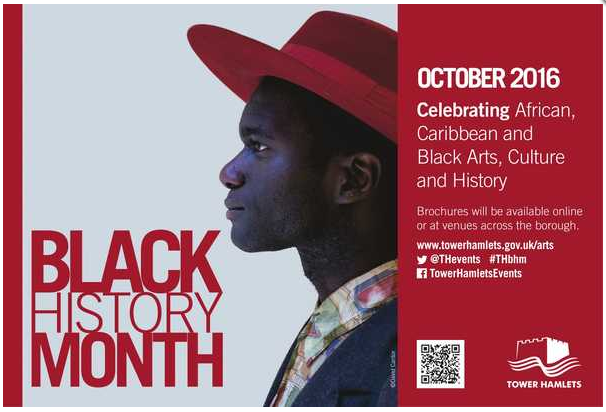 A fabulous array of events are happening this October to mark Black History Month with some great music, theatre, films, exhibitions, as well as heritage and literary focused activities (and more!) for those of all ages to celebrate Black History Month in our culturally rich and diverse borough. School will be closed to all pupils on Monday 12th September for the celebration of Eid-ul-Adha. All pupils are expected to return to school on Tuesday 13th September. Eid parties will take place in class on Tuesday 13th September. As Year 6 pupils have an Educational Visit to Cambridge on Tuesday 13th September they will have their Eid parties on Wednesday 14th September at 2.45pm. Please provide your child/ren with a small amount party food or drink in the morning of their party. They may wear party clothes all day. If your child has PE, they must bring in their PE kit and appropriate footwear. Welcome back to pupils returning to school today, Monday 5th September.